KeHe is a company built on values – integrity, honesty, and the highest ethical standards. We are also committed to the principle of helping others. Whether around the corner or around the world, KeHE cares about those in need. Our founders committed to use a portion of our profits to help the less fortunate and other worthy causes – and we still do. KeHE donates 10% of its profits to charity and encourages associate participation in charitable activities in communities in the US and abroad. KeHE is a certified B Corp company and strives to meet the highest standards of verified social and environmental performance, public transparency and accountability. 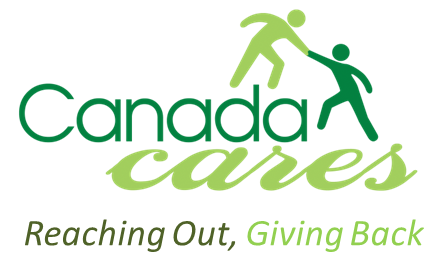 Canada Cares provides opportunities for our employees to volunteer in our communities and abroad. We serve our communities by working with local organizations in need like food banks and responding to those affected by local and international disasters. Our team’s volunteer service and their fund-raising efforts contribute significantly to the help we can provide. Our goal is to help the people we serve in moving them from dependence to dignity, while at the same time moving our people from a mindset of mere success and toward significance. We measure our success by employee engagement. Collectively our mission is to make a difference in the communities we live and work in. Our employees have volunteered in missions in Laredo and Haiti and regularly contribute to the local foods banks in all the cities we operate businesses in. Some of the recent activities have included fundraising for the BC Fire relief as well as the Montreal and Texas flooding. Tree of Life is a values driven organization that serves our communities by supporting local organizations and causes that our employees are passionate about. We measure our success by the impact we have on our communities of care and by the engagement of our team in the journey. Kehe (our parent company) is also a company built on values and the principle of helping others. The founders committed to using a % of their profits to help the less fortunate and that commitment continues today. Kehe is a certified B Corp company, striving to meet the highest standards of verified social and environmental performance, public transparency and accountability.